Freshman Cheyenne Coyle went 2-for-2 with three RBI as the Gators topped Bethune-Cookman, 8-0, in five innings to open their 2011 NCAA Tournament campaign on Friday at Katie Seashole Pressly Stadium. Junior Michelle Moultrie added two hits to Florida’s nine-hit effort and sophomore Brittany Schutte smoked a two RBI double to left field to get Florida on the board first in the first frame. An Aja Paculba sacrifice fly plated pinch runner Ensley Gammel to enforce the run rule after five innings as Florida improved to 48-9 on the season. 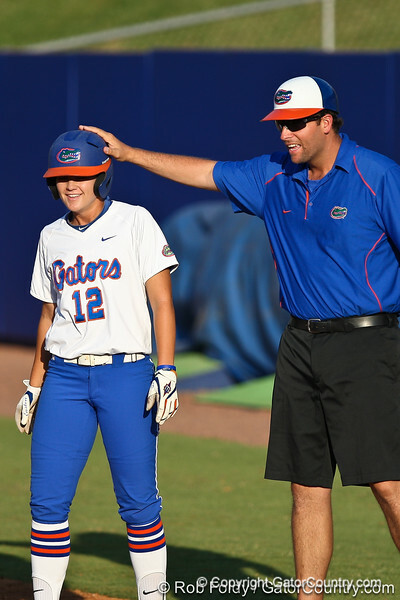 Florida tallied its 19th overall win in NCAA Regional play, its 33rd all-time in the NCAA Tournament, scattering its eight runs through three different innings, tallying four in the first and two each in the third and fifth frames. Senior righty Stephanie Brombacher yielded just three Wildcat hits, working the full 5.0 innings for the Orange and Blue to improve to 18-2 this season. Brombacher fanned five and walked just one in Friday’s efforts.